BlacKkKlansman is a 2018 American biographical comedy-drama film directed by Spike Lee and starring John David Washington and Adam Driver. 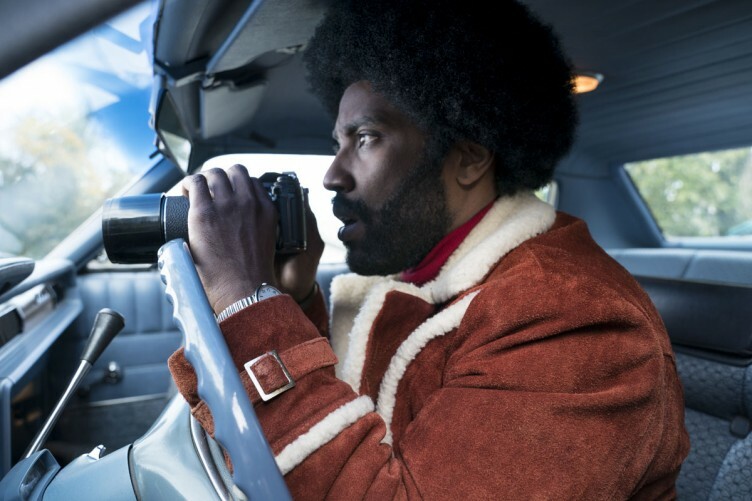 The film is an adaptation of a true story about Ron Stallworth (Washington), Colorado Springs's first black police officer, who went undercover and infiltrated the Ku Klux Klan in the 1970s. BlacKkKlansman is very enlightening in the way it discusses racism and opression of black people and yet makes no character completely infallible. 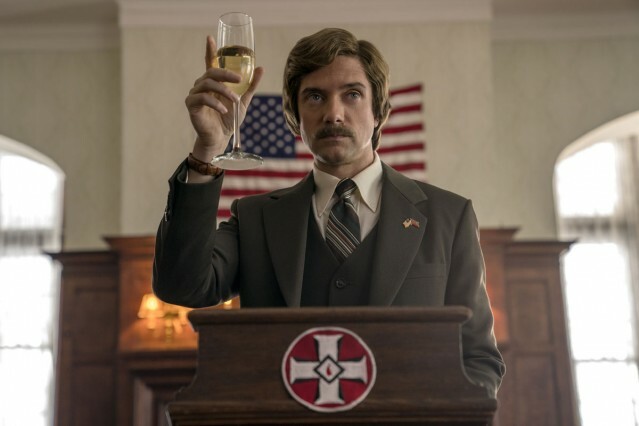 One of the film's most poignant moments is when Ron and his seargent are talking about KKK leader, David Duke (played by Topher Grace), and his ambitions to present a less violent, more amicable side to the media so that he can get into office. Ron laughs when his seargent tells him this, saying: "The American people will never vote for a man like him!" The reference to Donald Trump (who was endorsed by the real David Duke) is pretty clear, and Ron's naivety about how influencial racism is and can be is an important message for the audience. The film ends with Ron seeing some Klan members burning a cross nearby and cuts to real footage from the 2017 Unite the Right march in Virginia. The message is clear; racism still exists and is just as aggresive today as it was 40 years ago and by pretending we live in more enlightened times, we are not dealing with that problem. That ending could also be read as a reference to Spike Lee's 1989 film, Do The Right Thing, which depicted a contemporary look at racial tension in an American neighbourhood, but was infamously snubbed for a Best Picture Oscar. The winner that year was Driving Miss Daisy, in which a wealthy Jewish-American woman (Jessica Tandy) hires an African-American chauffeur (Morgan Freeman) and explores racism with the titular character becoming more aware by the film's climax. The fact that this film was set in 1948 seemed to suggest that the Academy considered racism a thing of the past, and therefore rejected Lee's more profound and current narrative. In BlacKkKlansman, though set in the 70s, Lee makes it clear racism has not died out with the use of recent footage of neo-nazis, white supremecists and the real David Duke as the film's coda. The performances from Washington and Driver, who plays Ron's fellow detective, posing as Ron to make face to face contact with the KKK, are fantastic.Washington in particular gives an understated performance for the most part, bursting with emotion only occasionally as he's learned to keep his head down to get by in a society run by white people. Adam Driver's performance shows particular nuance when you can see him barely maintaining control trying to remain undercover with the KKK, but clearly being disgusted with the Klan's rhetoric and what he is having to say to fit in with them. Another poignant moment in the movie is a scene where Ron and his love interest are discussing the roles of black people in popular films of the 70s. His love interest, Patrice (played by Laura Harrier) argues that major roles that black actors get are charicatured, while white actors have the luxury of playing more nuanced, authentic roles if they want to. Ron shows his naivety, saying: "But they're just movies!" Spike Lee's message here is that the portrayal of ethnic groups in the media have an influence on the way the public stereotype a group. In the film, Ron himself is victim to frequent stereotyping, with his police superiors believing that he won't know how to talk convincingly enough like a white man to pass himself off on the phone as one. It might even be a very meta dig at BlacKkKlansman's promotion. The film's trailer is heavily stylised like a modern version of a 70s Blaxploitation film and the title suggests a more comical approach. 'Wouldn't it be funny if a black guy infiltrated the KKK' is the impression you get, whereas the final film is a gritty and profound look at racial opression, with some humour thrown in, but not because of it. As well as being politically poignant, BlacKkKlansman is also thoroughly entertaining. The plot moves at lightning pace and carries a lot of dramatic tension, especially thanks to how well developed the two main characters are and how well the actors portray them. You find yourself caring about them a lot. If I had any criticism of the film, it would be that the stylisation is not particularly even. The movie often goes for a 70s exploitation style, but jumps instantly to being more serious and profound, like a modern suspense drama. This left the film feeling a little disjointed at times. 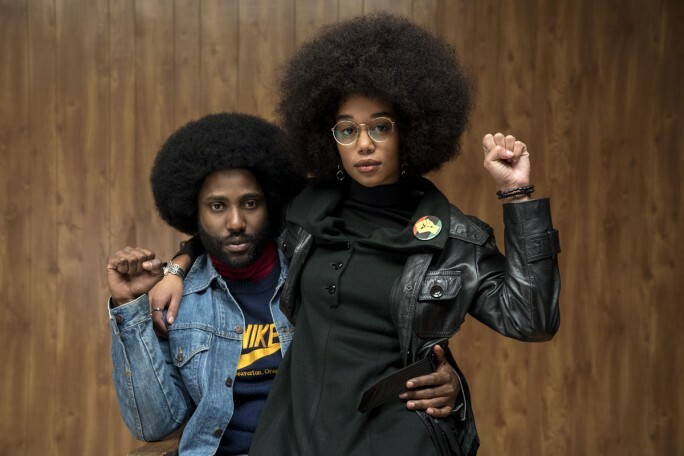 BlacKkKlansman is showing at HOME in Deansgate until the 11th of October.